Art for the Orlando in 2015 Worldcon bid. Orlando is, of course, in Florida, which is the part of the U.S. closest to Cuba, which was of import during the Cuban Missile Crisis. 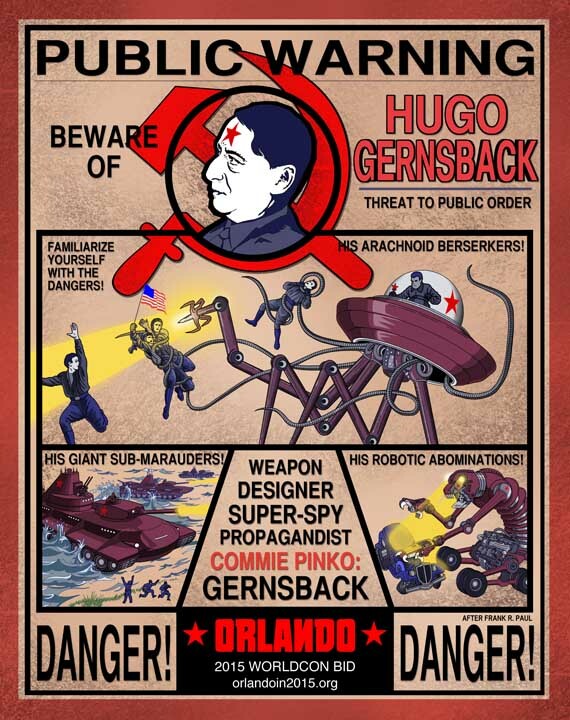 The notion of this Worldcon bid is that this is an alternative history, wherein the Red Scare is rife, and editor/publisher Hugo Gernsback was actually a Commie Spy and double-agent! The images in this poster are new versions of images originally painted by Frank R. Paul, whose official website I also run.